For today's baking post I wanted to go really festive. I love baking for the people at work and they were very impressed with the cupcakes a made this week. I made gingerbread cupcakes with a golden syrup butter cream, topped with a mini gingerbread house.....The boy I work with did think I had put to much time into making them but I think it was worth it. Here's how I made them. Follow my recipe for a big gingerbread house and you can create your own mini templates. Put your sugar and butter into a large mixing bowl and cream together the butter and sugar until it forms a paste. Add the eggs and the egg yolks to the mix and stir it all together. It might look like its split but when you add the flour it will all come back together. Measure out your black treacle, this is really sticky so be careful not to spill it or get it on your clothes, its a nightmare to get out. Stir this into the mix and make sure that everything is combined. 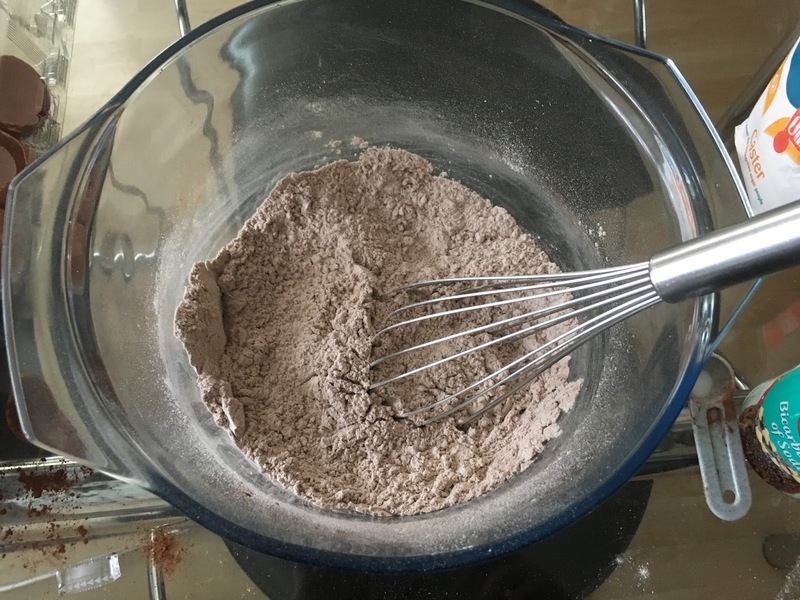 In a separate bowl, put all the dry ingredients in apart from the bicarbonate of soda. Use a whisk to combine all the dry ingredients so that when you add this to the back treacle mix, it will combine evenly. Heat your milk and then add the bicarb. This will start a reaction that will help your cakes rise? I don't know why it is but that's what the recipe said, I'm no scientist so I can't get technical....maybe google it. Add the milk to your cake batter and mix it all together. This mix makes 24 cupcakes so I had to bake them separately in two tins. 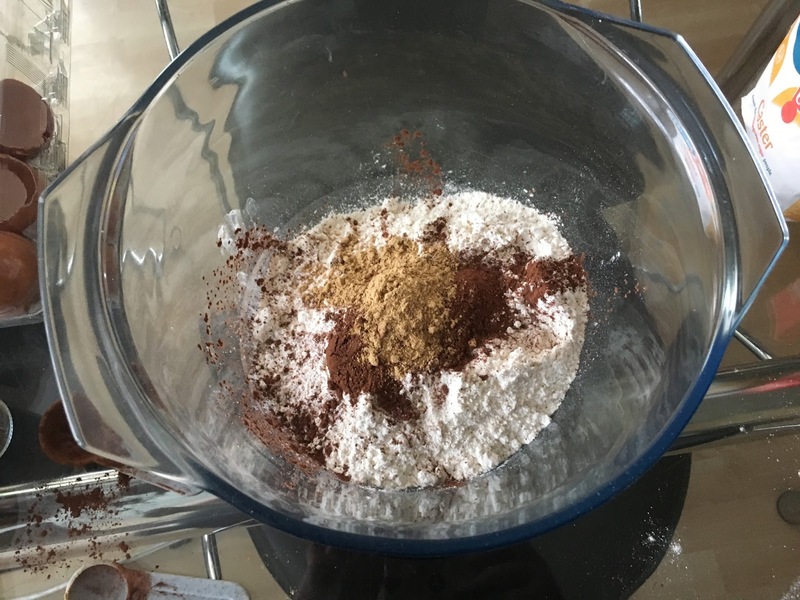 Pop your mix into your cases and bake for 20-25minutes. When they are done, take them out and leave them to cool on a cooling rack. Put the icing sugar and butter into a bowl and mix until you have a pale butter cream. I then added a few spoons of golden syrup to sweeten it. Its up to you how much you put in, just start with a little because you can always add more but can't take it away. To Finnish I put a little gingerbread house onto and dusted the cakes with cinnamon. You could make little gingerbread men for the top or just get some sprinkle, I just wanted the challenge and I think they turned out okay. Fair enough they aren't the prettiest houses but for a first attempt. Not bad.